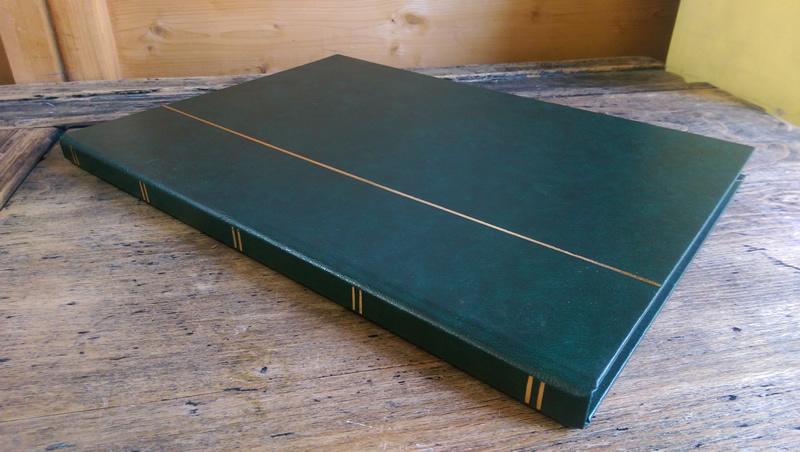 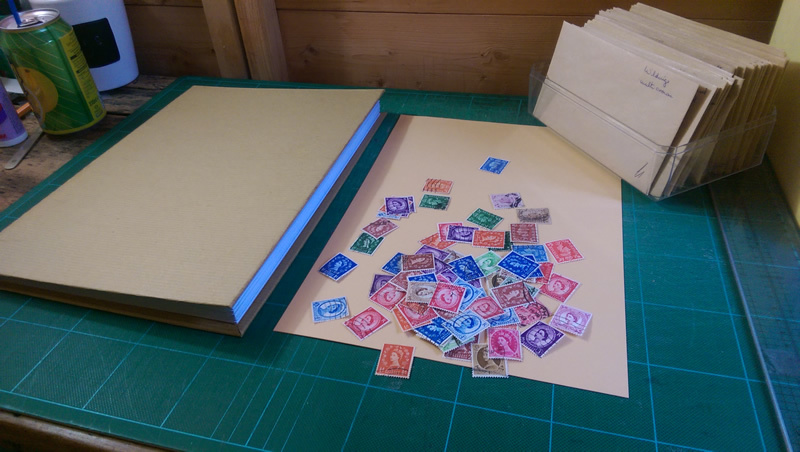 I was given a lovely commission recently: to cover a stamp album in stamps. 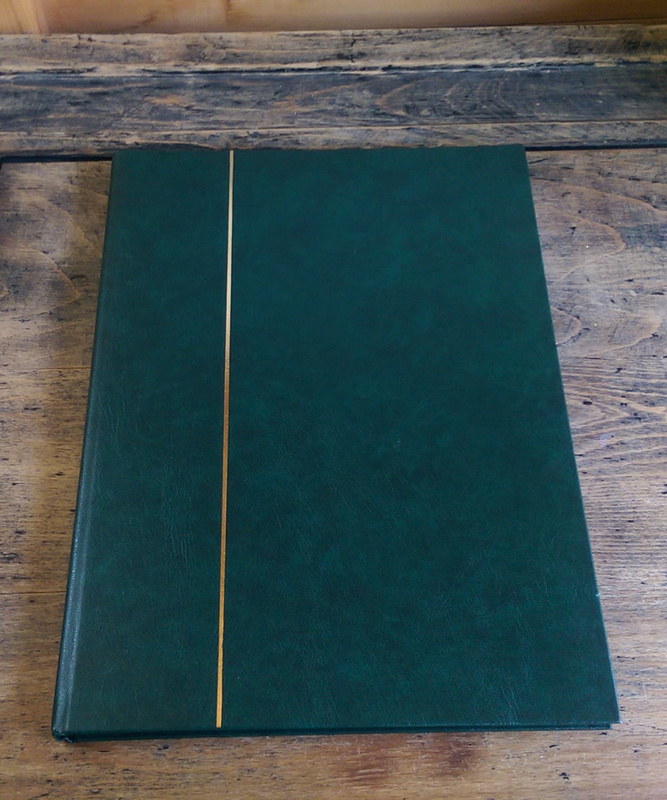 The original album was pretty standard fare. 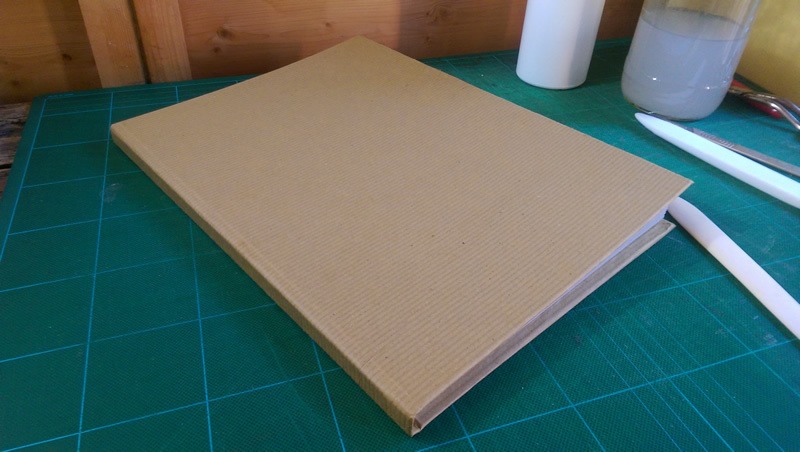 I started by covering it with some good quality brown parcel paper as I needed a background on which to work. 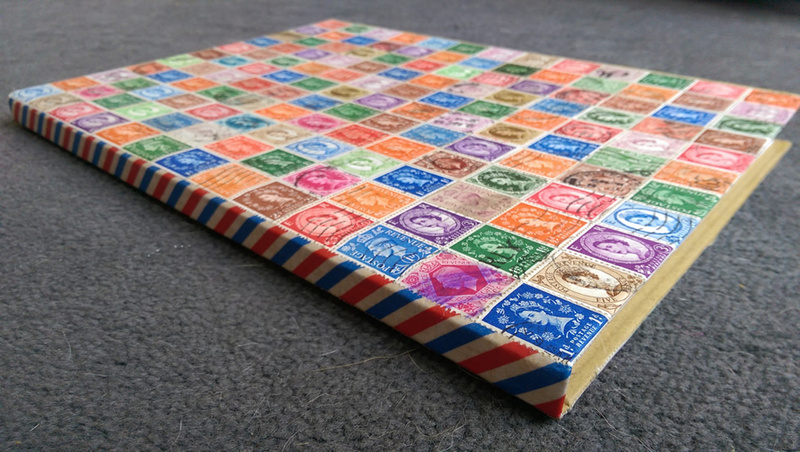 I then added a strip of airmail style washi tape to the spine. 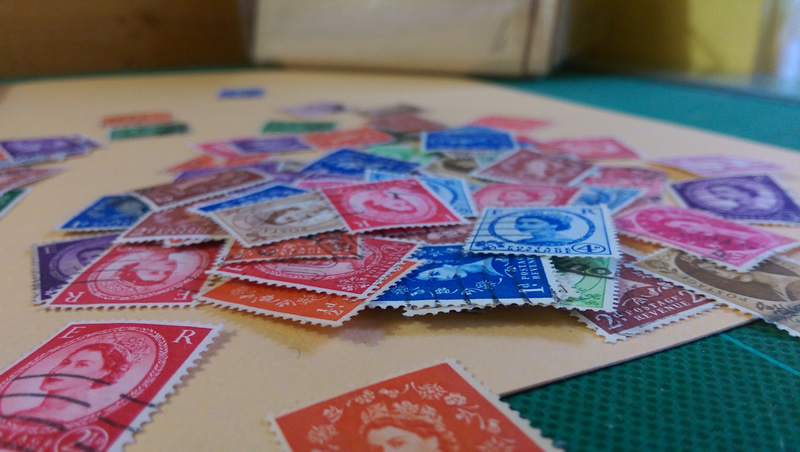 After that it was a case of adding stamps. 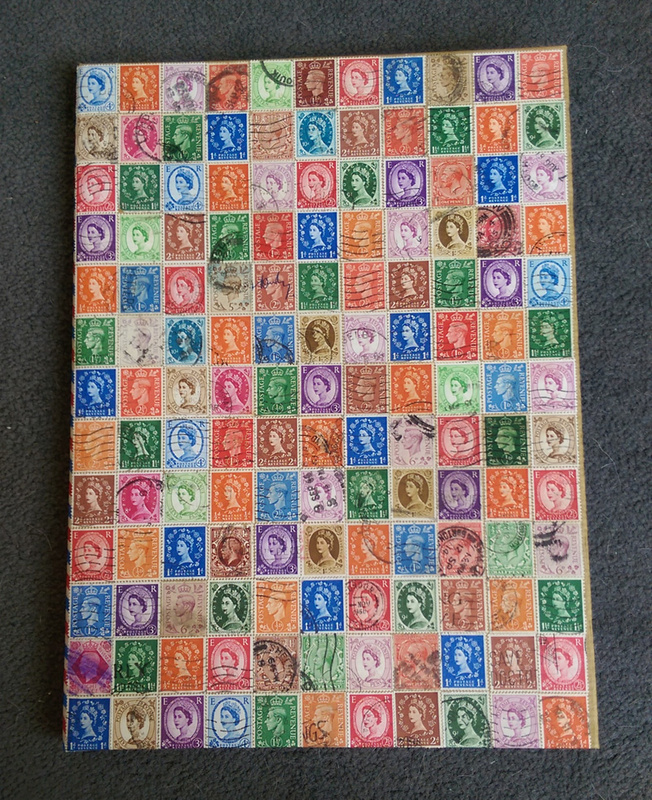 Which is easier than it sounds, it actually took a very long time to choose the stamps as I kept having to reevaluate after every row to make sure I didn’t have too many of any given colour or style in close quarters. 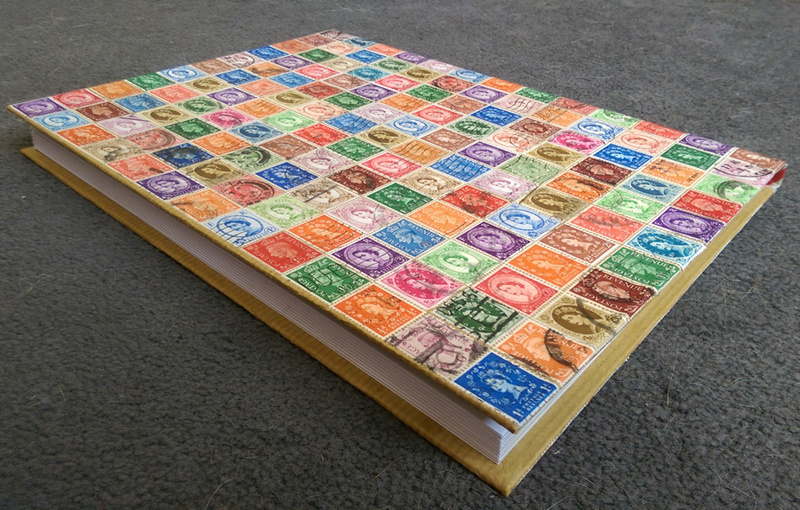 I love the finished book, it’s so colourful (although I would love to know why Royal Mail don’t seem to have ever done yellow stamps! 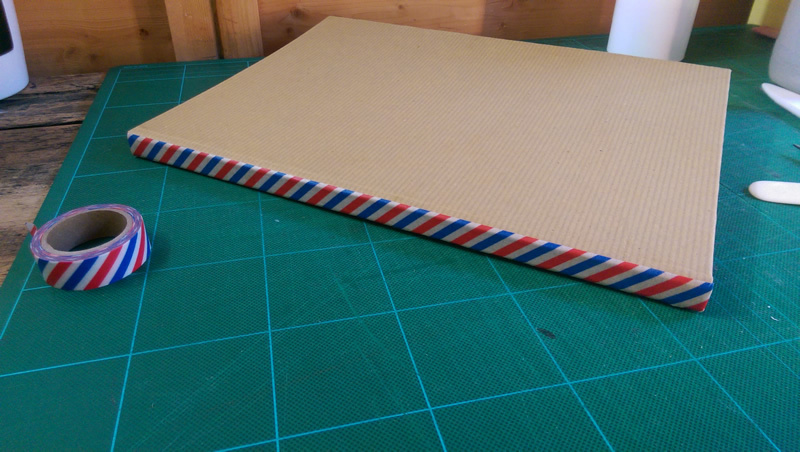 ), and I think the strip of washi tape breaks up the design nicely.